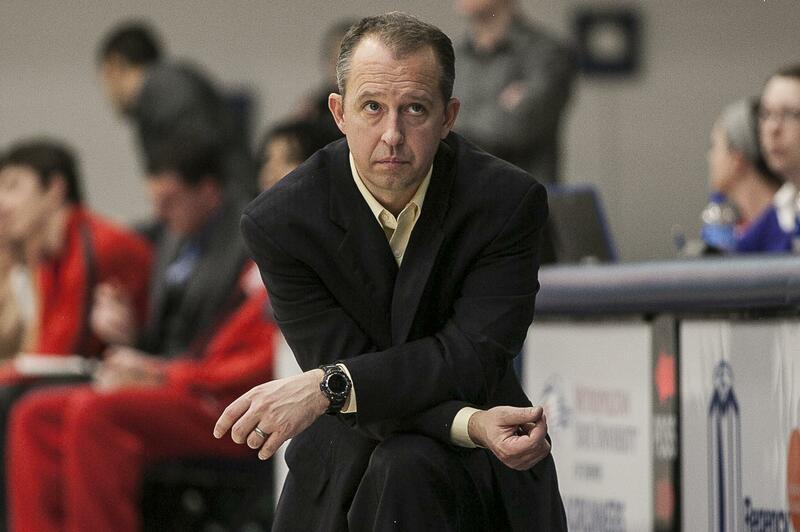 Trumbauer steps down as head basketball coach at BHSU. SPEARFISH, S.D. – Black Hills State University men's basketball coach, Jeff Trumbauer, will step down after four years at the helm of the Yellow Jacket program. "I am truly honored to have had the opportunity to serve as the head coach at BHSU. This decision is 100% about my family and creating the opportunity to be more present in their daily lives. The program is on firm ground with a strong team in place. I am excited to see what the guys can accomplish this season and for years to come," Trumbauer said. "Countless thank you's are necessary to all those who helped us move BHSU basketball forward, especially President Jackson and Jhett Albers, who showed faith in my abilities to develop the program. My family and I are leaving Spearfish with a heavy heart as we have fallen in love with the Hills and are leaving irreplaceable friendships. Again, I want to thank everyone who made us feel so welcome in Spearfish and at Black Hills State." Trumbauer has been the head coach of the Green and Gold for the last four years, leading the team to its first ever appearance in the Rocky Mountain Athletic Conference tournament last season. The Yellow Jackets finished the 2017-18 season with a 15-12 overall record, and 12-10 RMAC record, falling to Regis University in the RMAC Tournament First Round. The team's overall record and conference record were the best for the program since the Yellow Jackets joined the RMAC. The Green and Gold under Trumbauer have been strong defensive teams. The 17-18 squad finished the year third in the conference in points allowed (69.6), and at the end of the 2016-17 season, the Yellow Jackets led the RMAC, and were 17th in the nation, allowing just 67.2 ppg. Trumbauer coached one First Team All-RMAC honoree, along with three who were named Honorable Mention during his time at BHSU. He also had two Rocky Mountain Athletic Conference First Team All-Academic team members, and three named to the Honor Roll. "Black Hills State University Athletics has appreciated Coach Trumbauer's dedication and commitment to our men's basketball program the past four years," said Athletics Director Jhett Albers. "We have enjoyed having him and his family as part of the Yellow Jacket family, and wish them the best in their future endeavors." A search for a new head coach of the men's basketball team will begin immediately.